Rev. 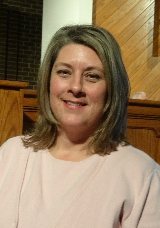 Pamela Blackstock was appointed to Central United Methodist Church in July 2018, and came to us from Union Memorial United Methodist Church in Greensboro, North Carolina. She is an elder in the Western North Carolina Conference. Pamela received her Master’s of Divinity from Duke University and a Bachelor of Science in Early Childhood Education from Winston Salem State University. She is committed to helping the lost and hurting accept the love of Christ while leading them to a deeper relationship with Jesus. Reverend Webster was raised in the United Methodist Church in Syracuse, NY. During summer camp one year, she made a commitment to follow Christ. Soon thereafter, Susan felt called to serve God as a missionary. Married to her husband, Tim for more than 30 years, they have two sons. Susan studied Spanish at Syracuse University and completed graduate studies in Bible and Missions at Columbia International University. She also received her Master in Library Science from the University of South Carolina. Her missionary service in the country of Mexico for fifteen years involved teaching, outreach and starting new churches. Susan became a licensed pastor at the Western North Carolina Conference in June 2011 and is pleased to be in her first pastoral appointment at Central United Methodist. La Pastora Susan fue misionera a Mexico por 15 años en los cuales ayudaba a fundar Iglesias y enseñar la Biblia. Ella le invita a usted a visitar a la iglesia ya sea para clases de inglés o el servicio de adoración. Si usted tuviera dudas en cuanto a la fe en Cristo, favor de hablarle a la Pastora Susan al 704-536-9157. 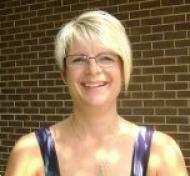 Christy Gerringer Bost is a third grade teacher for the Charlotte-Mecklenburg Schools. She graduated from UNC-Charlotte with a Bachelor’s Degree in elementary education. Christy has been a member of Central for 33 years. She has two daughters, Jordyn and Joni, and enjoys reading, working in the yard and playing games with the girls. DeAnn Cynamon is an alto soloist and pianist. She began piano studies at the age of five and continued through college including guitar and voice lessons along the way. She has accompanied choirs and schools choruses, played for college musicals and commencements, and has had the honor of singing and playing for many weddings. She has played piano, accompanied choirs and lead worship at churches in Georgia and North Carolina. She and her husband Sam have had the opportunity to move around for the last ten years. They are excited to be planting roots back in Charlotte now after living in Massachusetts, New Jersey, and Hawaii. She enjoys teaching piano and especially enjoys being Mommy to her daughter Allie. Edna Welch has been the Church Secretary at Central United Methodist Church for 37 years. She was born in Roseboro, NC (Sampson County) and grew up with four brothers. She enjoyed playing baseball and basketball with her brothers. She then played basketball in high school. Now she has four children and ten grandchildren. Her first pastor at CUMC was Reverend George H. Needham. Reverend Michelle Chappell is the 11th pastor with whom Edna has worked. Watching sports on TV and going to games with her children and grandchildren are her hobby and joy. She can be reached via email at ednaw@bellsouth.net. Kay moved to Charlotte from Knoxville, Tennessee with her husband Carlyle in 1979. They have one daughter, Jennifer. Kay has been associated with Central for 22 years. Her daugnter was in the pre-school program that was offered in the late 80’s and became a pre-school teacher in 1990. She started cleaning the church in 1994 and her family joined Central in 1999. She enjoys spending time and traveling with her husband. She also, enjoys cooking and being with family and friends.